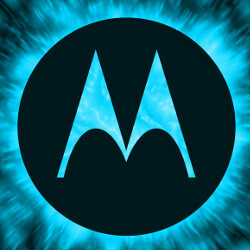 An unknown Motorola model with a serial number of XT1797 has just received FCC certification. That could indicate that this handset will be offered in the U.S. The documentation reveals some of the specs of the phone, including its 5.5-inch display. It also will be powered by a Snapdragon 430 chipset featuring an octa-core CPU and the Adreno 505 GPU. The 3000mAh battery will charge up using new Turbocharging capabilities. Other information found on the FCC documentation includes dual-SIM and NFC support. Android 7.1.1 will be pre-installed. Instead of a physical FCC label, the information reveals that the device will use an FCC E-Label that can be accessed on the handset by going to Settings > About Phone > Regulatory Information. Whatever model this is, we can all agree that it is on the low-end of the smartphone scale. And we will keep our ears low to the ground for any other developments involving this unknown model from Motorola. Sounds like a new Moto E, since Snapdragon 430 is on board. It seems like a bigger g5 play.